I’m heading to Jerusalem in May on a journalistic mission to better understand the struggles of gay Orthodox Jewish men in the Holy Land. In preparation, I happened to come across a story written in February 2009 about Haredi men (the men who wear black suits and black Fedoras) stoning buses that do not segregate women and force them to sit in the back. It made me do a double take. Back of the bus? When I hear that phrase, images of Civil Rights Movement flash in my mind. I think about the cruel and unjust way that black people were treated throughout this country, especially in the South. Separate drinking fountains. Separate bathrooms. White-only schools. “No-blacks-need-apply” signs. Laws that forbid black people from buying property, aka housing covenants. Taking them on is not easy. In the case of the racist Jim Crow South, change required that the nation’s consciousness be rattled and awoken. 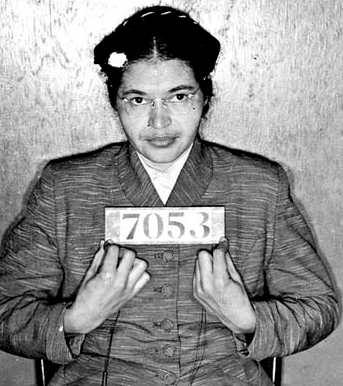 The spark was Rosa Parks, a black woman who was jailed for refusing to give up her bus seat to a white man. …which makes me wonder, will there be an Orthodox Jewish Rosa Parks? Jerusalem’s ultra-Orthodox Jews want women to enter buses by the rear door and sit at the back. It is an all too familiar scene: the Israeli bus, travelling near predominantly Palestinian East Jerusalem, is pelted with stones that smash windows and startle passengers. Except this time the stone-throwers are not Arabs but Jews. The violence is part of an unholy war in which strident elements of the ultra-Orthodox community in Mea Shearim are trying to force Israel’s leading bus company – and, by extension, Israeli society – to defer to their strict religious teachings and sensibilities. Although Israel defines itself as a Jewish state, what that means in practice is subject to dispute, with religious and secular Jews constantly tugging for greater clout in shaping the character of the country. 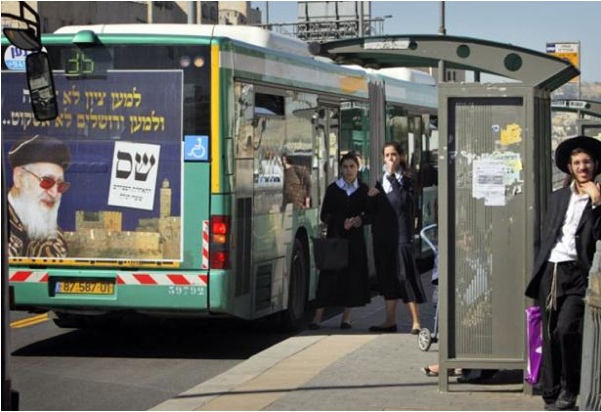 The latest battle is over demands that buses segregate men and women in accordance with strict Jewish law on a line connecting the ultra-Orthodox stronghold of Mea Shearim in Jerusalem with the Western Wall. Secularists say the push for sanctity on the buses is part of a larger effort to transform Jerusalem into a kind of Tehran. The violence is a major test for Jerusalem’s new Mayor, Nir Barkat, who rode to power last year on the votes of secular residents worried over growing ultra-Orthodox influence. Previous Post Isn’t this tweet?